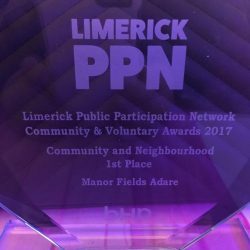 PPN Award for The Manor Fields Adare! At an awards ceremony held in Fitzgerald’s Woodlands House Hotel in Adare, The Manor Fields were named the winners in the Public Participation Network Community & Voluntary Awards 2017 in the Community and Neighbourhood Category. 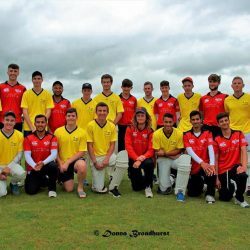 The Manor Fields were represented by Chairman & director James Collins and directors Barry O’Halloran and Elaine Sparling.